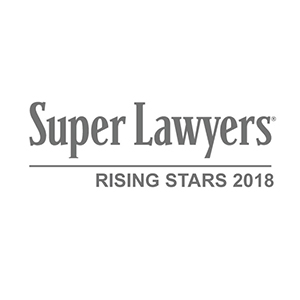 DALLAS – Trial lawyer Rob Sayles of Dallas-based Sayles Werbner has earned selection to the 2018 Texas Super Lawyers Rising Stars list for the seventh consecutive year for his representation of clients in business litigation. An accomplished litigator, Sayles handles a wide range of business and commercial disputes for defendants and plaintiffs alike, including matters involving product liability, personal injury and wrongful death claims. In 2017, Sayles represented the City of Dallas in several lawsuits filed by firefighters and police officers claiming billions of dollars in back pay. Additionally, he obtained a summary judgment on a covenant not to compete claim on behalf of a client facing more than $3.6 million in damages, and negotiated significant settlements for injured car crash victims. Sayles is no stranger to lawyer accolades having been most recently named to D Magazine’s Best Lawyers Under 40 list. Those honorees are selected from peer nominations, and then a review by a blue-ribbon panel of lawyers and D Magazine editors. He was also honored in the 2017 edition of D Magazine’s Best Lawyers in Dallas for representation of clients in business and commercial litigation. The Texas Rising Stars list honors the state’s top attorneys age 40 and younger or who have practiced law for no more than 10 years. Only 2.5 percent of eligible Texas lawyers are selected to the list each year based on nominations from other lawyers, independent research and a review by a separate advisory panel. Sayles Werbner maintains an international reputation as a proven trial law firm in complex business litigation, life-altering personal injury cases, and practically every type of case that requires courtroom expertise.